After family recently came back from the USA with plenty of amazing peanut butter and chocolate themed treats (if you havent had the chance to try a peanut butter cup, then you haven’t lived…). With that in mind and some baking to do I set about making my own little piece of Americana to Australia. Preheat oven to 160°C. Brush a slab pan (select depth to taste – deeper gives a gooey-er centre, a more shallow pan will give more crunch and crisp edges) with melted butter to grease. Line with non-stick baking paper, allowing the sides to overhang. Place the chocolate and butter in a large heatproof bowl over a saucepan half-filled with simmering water (make sure the bowl doesn’t touch the water). Use a spoon to stir until the chocolate melts and is liquid and smooth. Combine the sugar, flour and cocoa powder in a bowl. Add chocolate and eggs and stir until just combined. Pour into prepared pan. Spoon peanut butter over brownie mixture and create a marbled pattern with a spoon by light mixing so peanut butter is visible but not in big lumpy bits. If you want thicker sections of peanut butter add more until you’re happy. Bake in oven for ~40 minutes or until crumbs cling to a skewer. 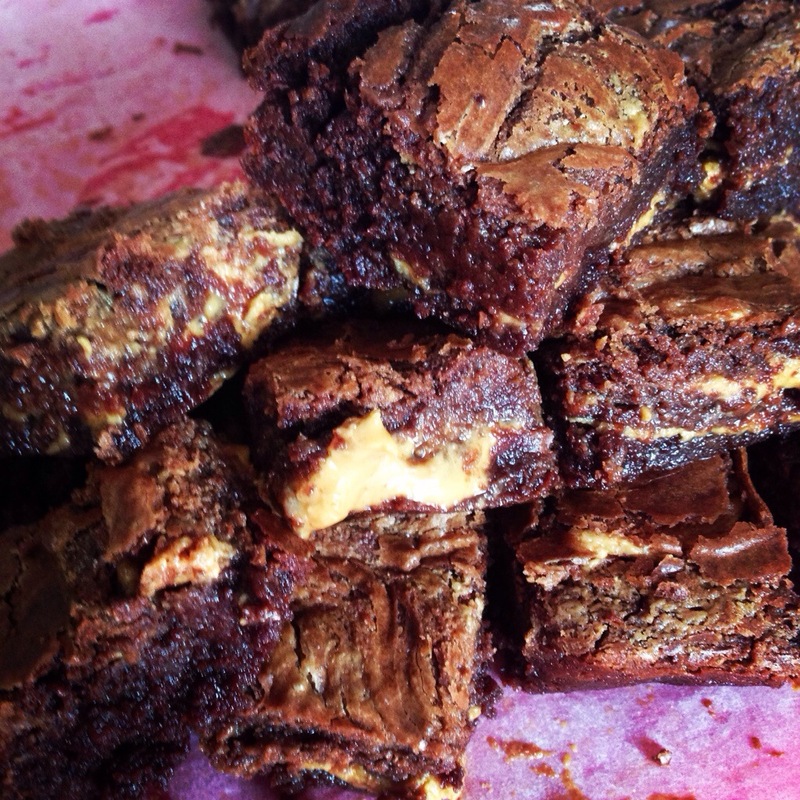 Make sure you test the centre, and remember brownies are meant to be a bit chewy and moist. Set aside to cool adding peanuts if you wish. Cut into slices and let your family and friends at it. They’ll be gone before you know it! How do you like your brownies? Are you a crunchy peanut butter or smooth? How can I improve on my recipe?